Fabien: Like keith, I prefer to use a small plane to shape the masts. One thing to watch though is the grain of the wood. As you work around the mast there will almost inevitably be one side where the plane digs in, so you need to plane in the opposite direction on that side. The masts have to be shaped from a rod. Regarding my other questions, any idea ? - what is the best technic to paint ? acrylic paint thinned with some water ? - what is your feeling about the hull color ? leave it without color or to paint it as request yellow/black/white ? Yes the Youtube method is valid I use my drill for mast over 10mm. 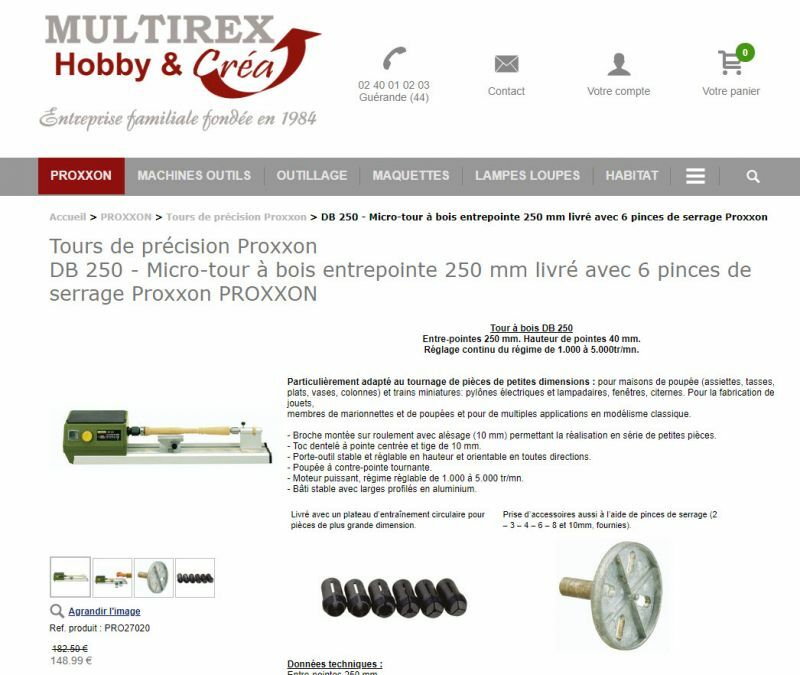 Proxon Lathe it is not really expensive around 150eu got one for many year and use it to turn mast and spar of any size of 9mm and lest and because the shaft is hollow spar over 40cm I even turn barrel and all kind of material that need to be shape. It is small and do not take a lots of place. It depend greatly of your wood, soft wood will let paint penetrate where hard wood paint will be harder to apply might need 2 or 3 coat. 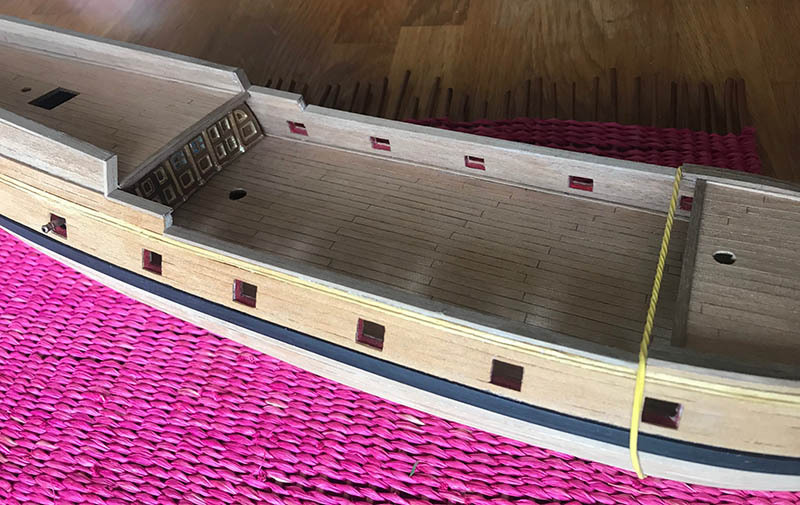 I have seen that ship build without paint and the wood natural and it is beautiful. 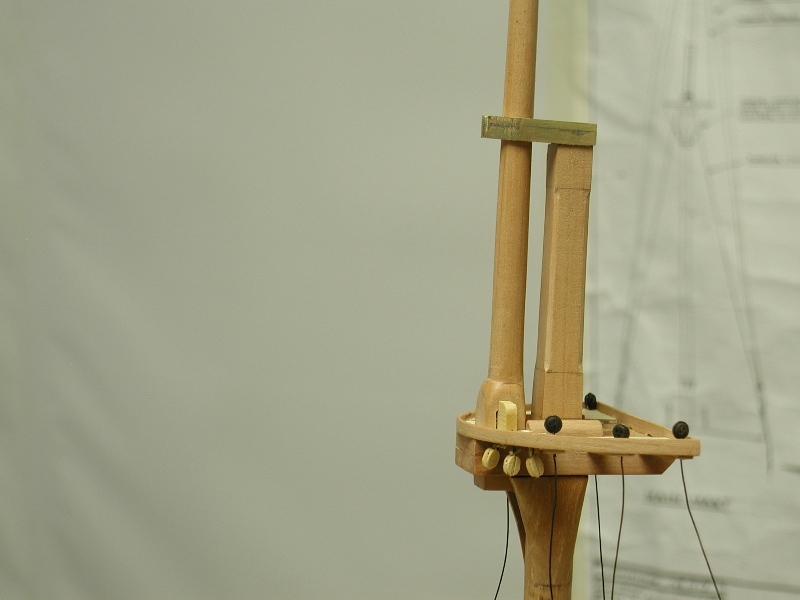 Fabien, hope I won't get into trouble here but kit makers love to sell kits with dowels (round wood rods). You have no way of knowing the type of wood and how straight the GRAIN is. This can lead to warping. As you are aware the mast tapers to the mast top where it becomes square. The topmast is next to it and the bottom of this is also square. 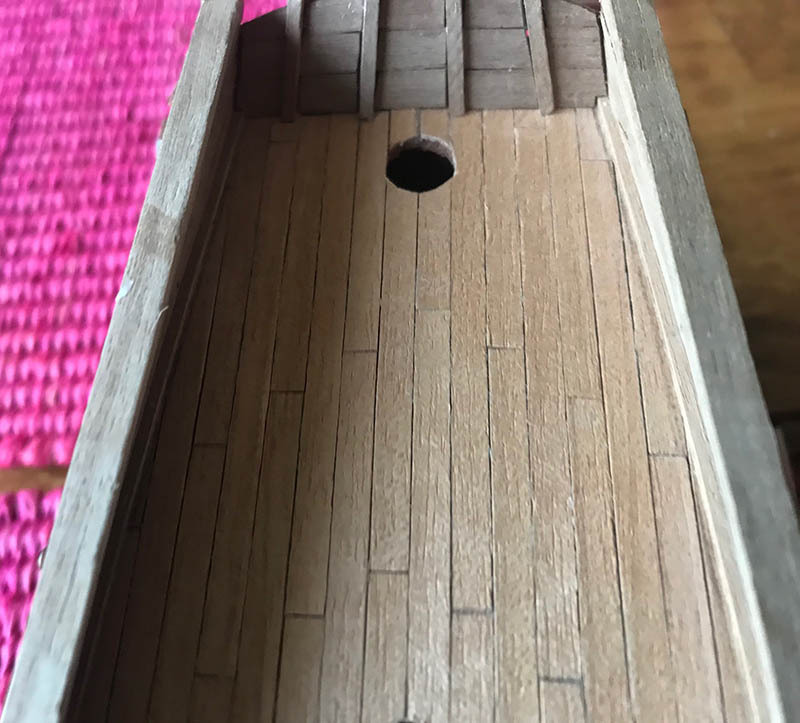 It has a hole in it where a a square peg (it's called a fid in english)is thrust in and the topmast is then lowered in to the top (platform) .The load is taken by the fid. Perhaps a couple of photos will explain better. The photo of the top is my Leon of 1880. Later than your Rattle snake but I am certain that the construction is the same. 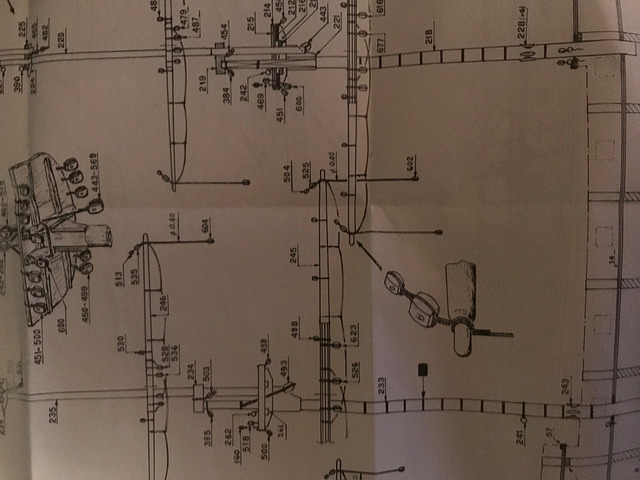 - one of my next step is the lower part of the hull. I was wondering what is best : 1 plank from bow to stern, or several planks ? I always do the planking in scale lengths (a real plank would be no more than 8 or 9 meters long) ,the reason being that if the plank is done bow to stern it would be in the shape of a fishes tail. Also it has to be twisted at the stern.It may be a little easier for a square sterned ship but a round stern becomes very complex. How kit builders manage to do it, I am not sure. I do it like most of your countrymen---scratch! 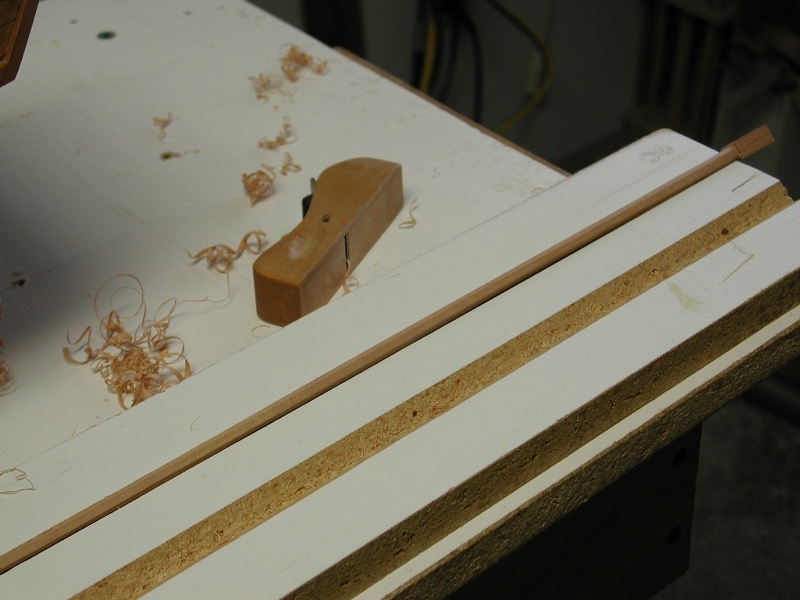 Fitting full length planks is actually easier than short planks when any twisting of the planks is concerned. 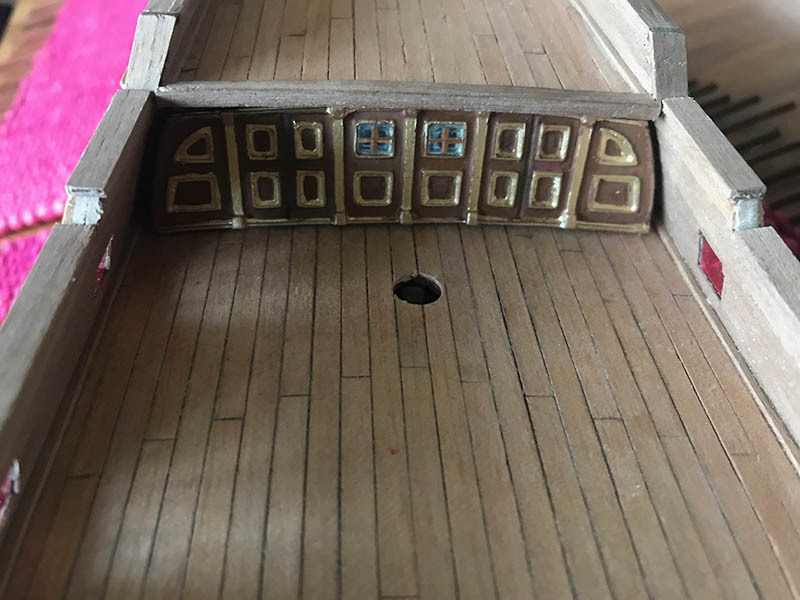 If you're going to paint the hull and the plank joints won't be visible, there's no benefit in going for scale length planks. 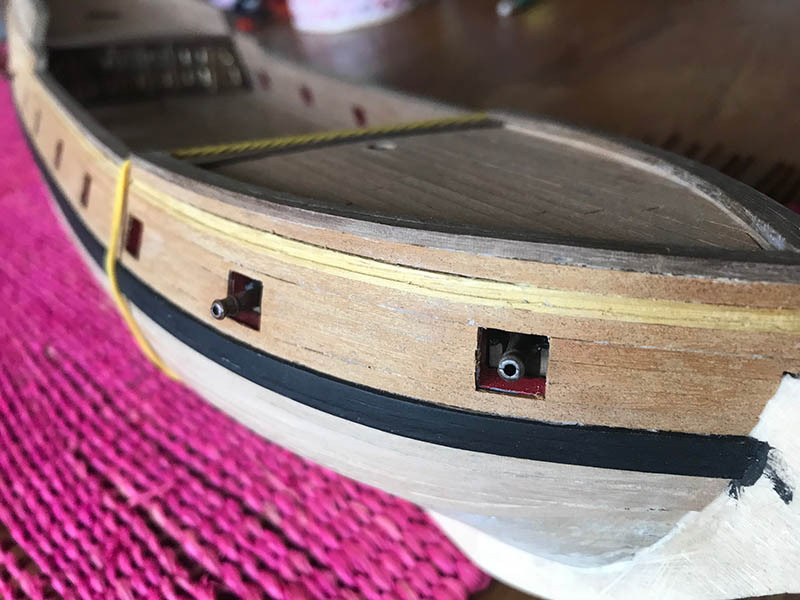 If your hull is double planked, scale length planks shouldn't be a problem, but if it's single planked you really need to end them on a bulkhead. You asked about painting the hull white. 'White stuff' was an early anti-fouling treatment applied to the hull. There are various 'recipes' quoted but none of them would inspire confidence in ending up with 'White'! At best, they were probably a cream colour. 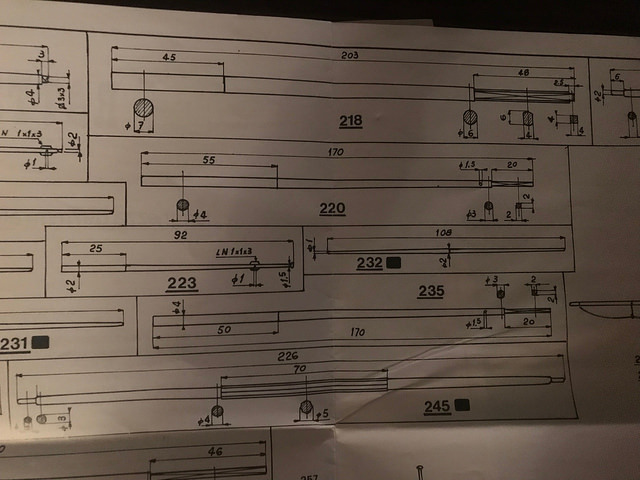 I just found your build log. I look forward in following your progress. I have some news to share. I have waited to get a plank to cut the bow rail, but there is still shortage. So I decided to make it with two 2x2. I used the ammonia technic, and I have to admit that the effect is quite good. It is easier to bend than with water (or hot steam), the smell disappear immediately and it dries very fast. The inside planking and floor are finished. The rail is almost done. The black line is painted. For the top of the stern it's not perfect, because I should have placed the horizontal planks before the vertical ones. But that's fine for me. Now I'm doing the external planking of the hull, not without difficulties with the 1mm planks. How many layer your hull 1 or 2 ? If 2 don’t try to have it 100% perfect you can sand it and use wood putty to received the second layer. If 1 go slowly do you have a plank bender ?